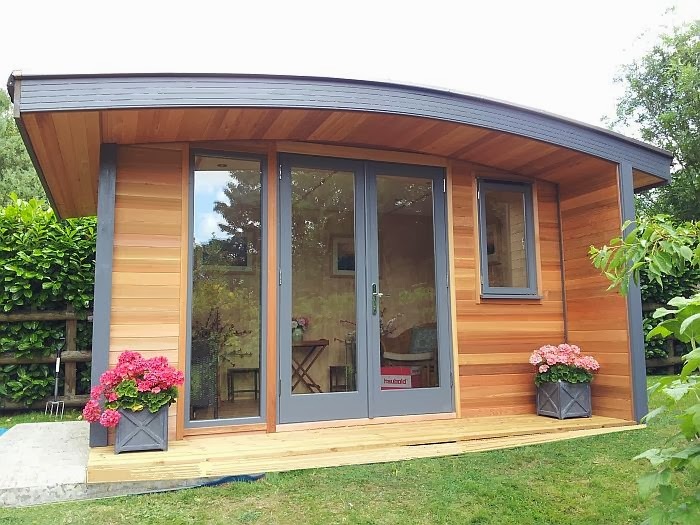 If you are after a garden office on wheels but are not so keen on the shepherd's hut aesthetic, The Welsh Den Company could be right up your street. 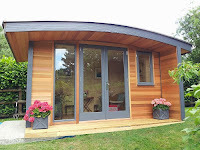 Based in Llanbrynmair in Wales, they are keen on sourcing local materials (Welsh roof slate, Welsh-made Chilli Billie Penguin stove, locally sourced timber and sheep wool insulation). It's first model - The Snowdon - can be moved around easily (though is not really for road towing - they are working on a new model called The Hafren which will be) comes on a steel chassis with twin axles, a mezzanine (one of the Shedworking staff's favourite features), veranda, decking and the usual electrics. Optional extras include curtains, sofa bed and kitchen. There's a nice gallery of pictures at their site here.